From New Orleans to Lake Charles, king cakes are a Carnival Season phenomena. Starting on January 6, these iconic Mardi Gras desserts can be found in just about every grocery store, gas station, and convenience store around the state. From the standard glazed and sugared cakes, to a few with some unexpected fillings, we’ve searched out the best of the best. 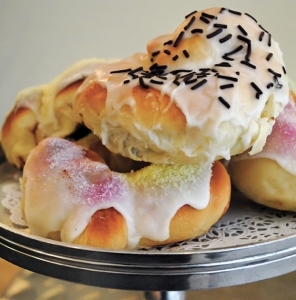 At its most basic, a typical Louisiana king cake consists of a Danish yeast pastry dough topped with glaze and colored sugars, with a small plastic baby hidden inside. Whoever gets the baby in their slice is traditionally king (or queen) for the day and is expected to throw the next king cake party. 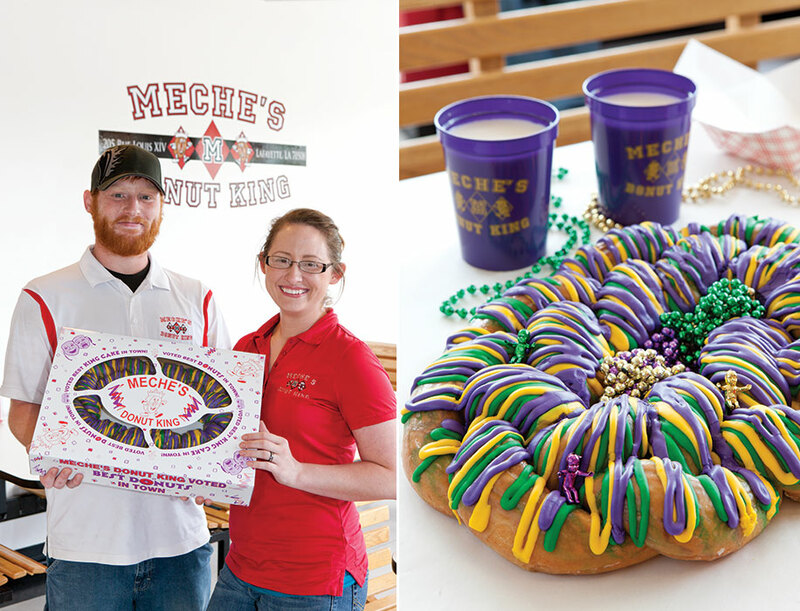 Many Louisiana bakers go beyond the basics to deliver a wide variety of flavors for the discerning palate. Cinnamon, chocolate, cream cheese, and fruit fillings are popular add-ins to the fluffy, cinnamon bun-esque dough, but that is just the beginning. Nutella, goat cheese, and apple, and even bananas and bacon can be found inside and on top of boutique cakes around the Bayou State. Carnival Season is meant for partying, and king cakes are an essential piece of the tradition. Try as many of these as you can during the holiday season, and if you can’t make it to Louisiana, get a few shipped to your home. In New Orleans’s French Quarter, La Divina Gelateria serves up king cakes (pictured to the left) with an Italian accent. The shop’s owner Carmelo Turillo explains that his cake is influenced by panettone, and in addition to a sugared version, he and his chef Mia Calamia offer a stellar Nutella-filled king cake. 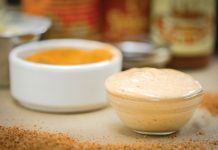 “We’ve been doing it for five years and have gotten a cult following,” says Carmelo. “When we make a filling, we make sure it brings out the cake’s flavor, not cover it up.” In addition to the Uptown location, La Divina will also sell their king cakes at their new Baton Rouge location. Call to reserve a 4- or 12-serving cake. 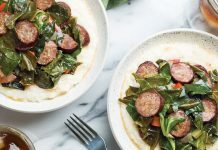 Cochon Butcher, located behind Donald Link and Stephen Stryjewski’s iconic Cochon, is much more than smoked meats and impeccable cocktails. There, Maggie Scales, the Link Restaurant Group Pastry Chef, makes an assortment of magically delicious king cakes. In addition to a traditional version, she bakes one with chocolate and peanut butter, and another in homage to The King (Elvis, that is)—filled with bananas and peanut butter, then topped with toasted marshmallow and salty, smoky bacon. And to honor Cochon’s roots, each cake, available in individual and 8-serving sizes, contains a miniature piglet instead of the standard plastic baby. 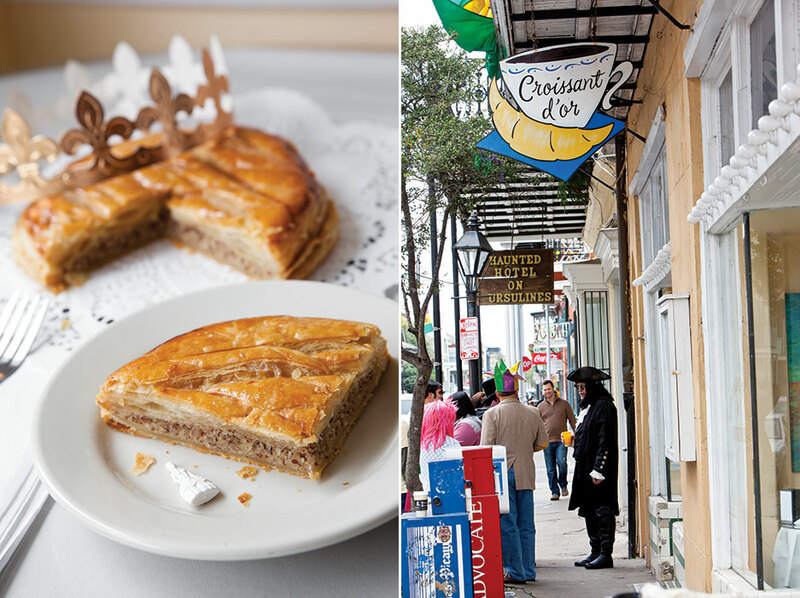 Nestled in a quiet side street in New Orleans’s French Quarter, Le Croissant d’Or sells one of our favorite classic French-style king cakes—galette des rois. In place of the omnipresent doughy Danish pastry king cake, galettes des rois are made with puff pastry and a completely decadent almond filling. And instead of a colorful sugary topping, these cakes feature an intricate rosette design and glossy finish. Elegant and understated, these cakes are perfect for making a statement at your next party. In Baton Rouge’s Village St. George neighborhood, Ambrosia Bakery has been a local favorite for years. In addition to the popular Zulu King Cake—stuffed with coconut spread, cream cheese, chocolate chips, and topped with chocolate and toasted coconut—in honor of New Orleans’s Zulu Social Aide and Pleasure Club, Ambrosia offers more than a dozen different flavors and toppings in-store and shipped. During Carnival season, aficionados line up in droves for one of Manny Randazzo’s sweet-dough creations. A second-generation baker, Manny decided to dedicate himself to the seasonal king cake business in 1995 after having worked at Randazzo’s HiLan Bakery with his father and brothers in Chalmette. 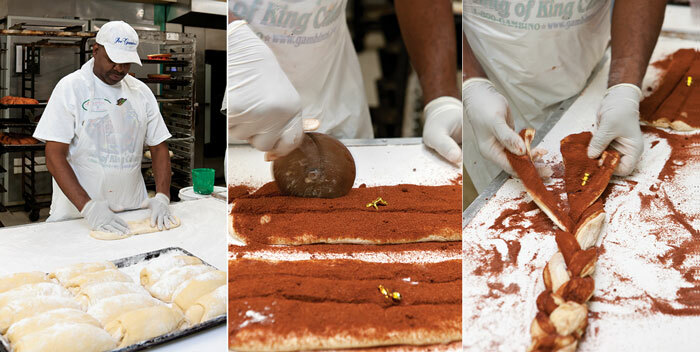 While the traditional cinnamon flavor is by far the most popular with locals, his Pecan Praline won the Times-Picayune King of King Cakes award in 2012. 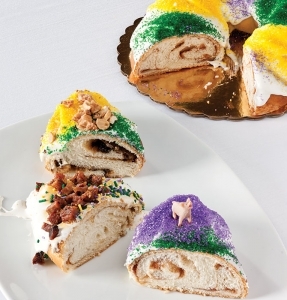 Manny Randazzo King Cakes offers three cakes for shipping: a traditional cinnamon, cream cheese-filled, and a seasonally inspired version (which includes a New Orleans Saints–themed Fleur de Lis–shaped cake). Unlike many king cake bakeries that pile their specialty flavors atop their cakes, Gambino’s Bakery in Metairie takes a different approach. Folks will find one of 15 fillings, including pecan praline, chocolate brownie, and cream cheese, packed in a delicious tunnel at the cake’s center. 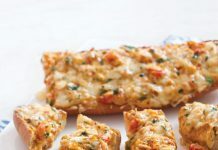 When current owner Sam Scelfo, Jr. came to the bakery in the late 1970s, their king cakes were made with what he calls a “dry bread dough.” They didn’t sell particularly well, so he decided to try substituting Gambino’s Danish pastry dough. It was a hit. Gambino’s has expanded to five locations around Louisiana—Metairie, Gretna, Lafayette, and two in Baton Rouge—and ships thousands of king cakes each Carnival Season. Sometimes it takes recovering from a disaster to bring on greatness. After Lloyd Haydel’s doughnut shop was destroyed in Hurricane Betsy in 1965, he decided to expand the business to include king cakes. Now almost 50 years later, Haydel’s Bakery ships as many as 60,000 king cakes each Carnival Season with his grandson David Jr. at the helm. Traditional cinnamon is their biggest seller, but their cream cheese, chocolate brownie, and praline pecan king cakes have a strong following. And in addition to the expected plastic baby, Haydel’s includes a locally made collectable porcelain charm with each cake. In junior high school, future baker Steve Himelfarb ate a cinnamon bun that changed his life. Now at Cake Café in the quietly hip Faubourg Marigny, Steve serves some of the most interesting king cakes in town, including an apple and goat cheese version. 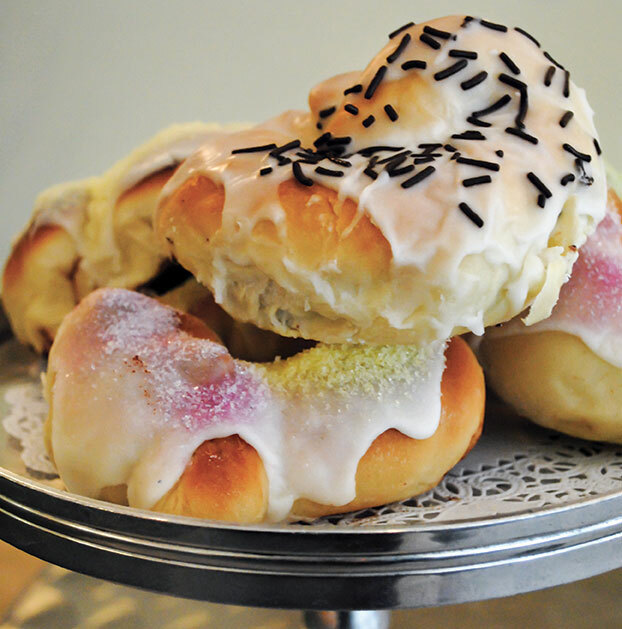 “A few years ago, the Apple and Goat Cheese King Cake really took off,” says Steve. “It’s very down-home and captures a whole different side of the king cake.” Call ahead to reserve miniature and full-size cakes in advance. The price of the king cakes vary by size and location; the best thing to do is to get in touch with the individual bakery. You obviously didn’t visit Julie Ann’s bakery in Shreveport, LA. I vote they have the best king cakes. Can’t wait to get mine! The next time we’re in the neighborhoods, we’ll definitely stop at Julie Ann’s! Cajun Pecan House located in Cut Off, Louisiana. They ship nationally. Strawberry/cream cheese!!! Apparently you’ve never been to Cut Off, in Lafourche Parish…Cajun Pecan House is the big winner. “The Cake Shop” in Lockport definitely deserves to be on this list! Julie Anne’s bakery in Shreveport makes the BEST! I order one every year and ship it down to BR. Can’t get anything as good in Baton Rouge for sure. Sucre, Buttermilk Drop, and Bittersweet Confections all have AMAZING ones as well. When you say Navarre’s, it means you’ve never had a real king cake. They were so disappointing. Navarre’s in Springfield,La needs to be your tenth. Very fine King cakes of all varieties. They are one of those places people always want stuff from when they realize you are one of the few people that live there. I’m from south La and have lived all over the state. Julie Ann’s in Shreveport is amazing! Louisiana Purchase in Natchitoches makes Fabulous king cakes. They are my favorite. I think they often get over looked because they are not located in South La. Good stuff! And they also ship anywhere. Atwoods in Alexandria makes the best in the Central Louisiana area. Keller’s Bakery in Lafayette! The absolute best! Yep Keller’s amaretto walnut is the best!! Haydel’s is my weakness, and I don’t mind driving over an hour to go there. Their king cakes are my absolute favorite, and the petit fours and so delicious. They were the winners of the 1st King Festival, and have been winners for me since the first time I went their bakery. Sounds like someone should sponsor a “King Cake Challenge”! 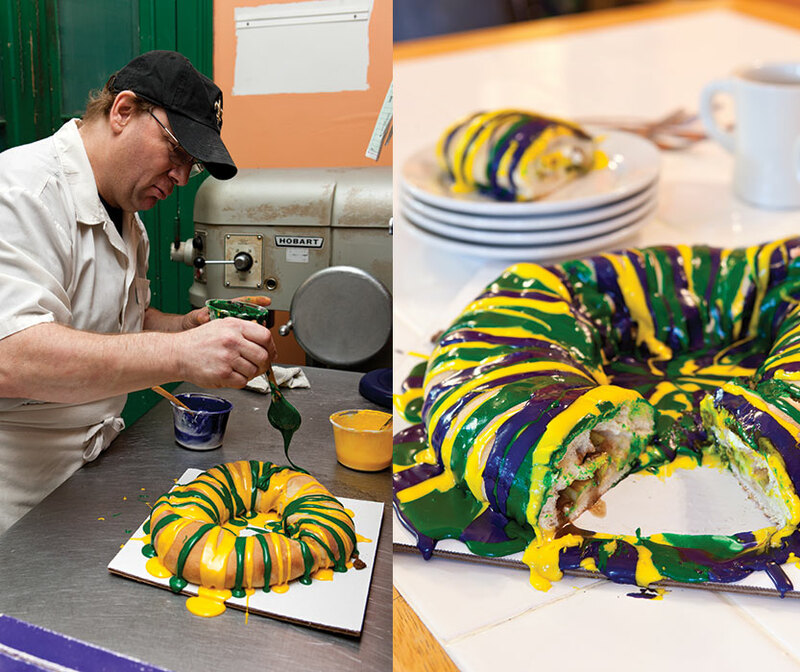 Julie Anne’s in Shreveport makes amazing king cakes! Margurite’s King Cakes are the Best. Over 40 flavors and the freshest. 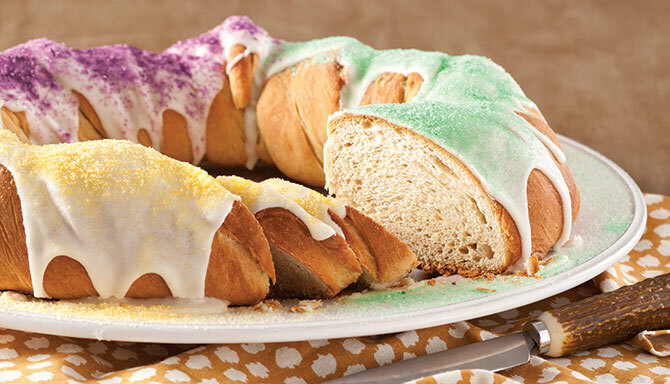 You can order King Cakes from the Lafayette, LA area at http://www.cajunyumyum.com, also boudin and more! can a kings cake be a chocolate flavored?? not just a chocolate filling?? are there different typed os kings cakes like cake or just bread texture? That’s a great question, and we’ll try to answer it fully. First: there are two main types of French king cakes, the galette des rois (which is a puff pastry king cake with almond filling) and the gateau des rois (which is the bready Danish king cake that is most popular in New Orleans). Neither of them are typically made to be chocolate flavored, but the gateau-style king cakes can be filled with chocolate. We’ll try to work on a chocolate flavored king cake for next year! It’s a great idea!